Carrey’s new work depicted Cohen standing alongside a $35,000 check appearing to bear Trump’s signature. “Know how you can tell when an admitted liar is being truthful? When he has CORROBORATING EVIDENCE!” Carrey wrote of the artwork. “Like this hush money check to Michael Cohen signed by his boss…CROOKED DONALD TRUMP!! 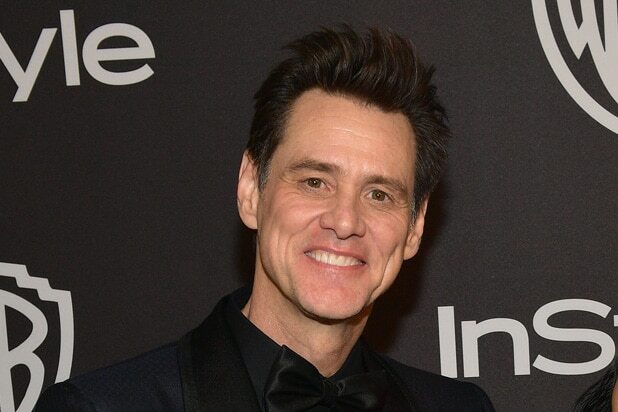 !” Carrey concluded. During Wednesday’s testimony, Cohen presented two checks, which he said were part of 11 installments to reimburse him for hush money he had paid out on behalf of Trump, the New York Times reported. One of the checks, dated Aug. 1, 2017, bore Trump’s signature, the Times said. Last year, Cohen said that he had paid adult-film actress Stormy Daniels $130,000 in hush money. Daniels, whose real name is Stephanie Clifford, had said that she had a sexual relationship with Trump, a claim that Trump has denied. At the time, Cohen said in a statement to the New York Times that he had not been reimbursed by the Trump Organization or the Trump campaign.